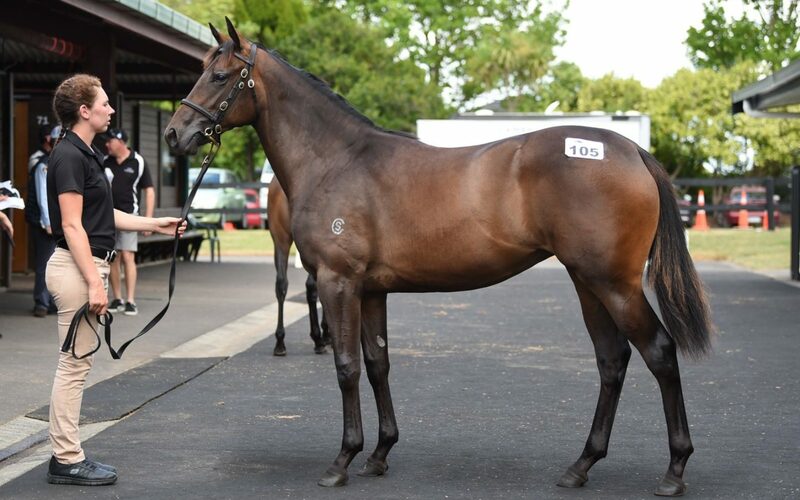 A filly from the first crop of Champion Three-Year-Old and subsequent dual Horse of the Year and Champion Stayer Mongolian Khan (Holy Roman Emperor), recording Group One wins in the NZ Derby, ATC Derby, and Caulfield Cup. Her dam, Irish Jewel, was an impressive two-year-old debut winner over 1100 metres that showed plenty of natural ability. She went on to contest stakes races and won over 1600 metres. Dam sire Street Cry, a Dubai World Cup (Gr. 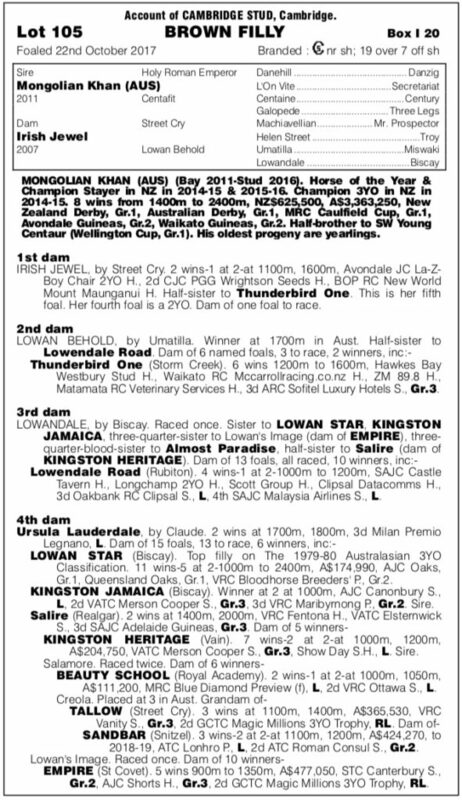 1, 2000m) winner, is the sire of multiple champions, including the incomparable Winx. She has some terrific sire influences in her pedigree, with crosses of immortal stallion Northern Dancer, breed shaper Mr. Prospector, and champion sire Petingo.